The beach/Bayfront planned urban development is fully entitled with all necessary permits and approvals from the US Army Corps of Engineers, and benefits from special mixed-use zoning allowances. 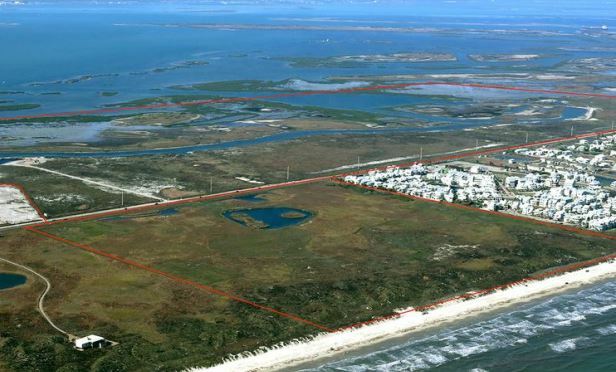 Mustang Island Marina and Resort totals 541 gross acres, and includes Gulf and Bayside land. PORT ARANSAS, TX—Mustang Island is the barrier island that creates the seaward boundary of Corpus Christi Bay. On the northern portion of the island is Port Aransas, located within 30 minutes from Corpus Christi and a couple hours’ drive from San Antonio, Houston and Austin. Port Aransas and Mustang Island have 18 miles of shoreline.